Planning the ultimate bachelorette party? Then you won’t want to be anywhere else besides Daylight in Las Vegas. Located at the Mandalay Bay, Daylight offers party goers a sophisticated scene complete with innovative technology and fine cuisine. Its outdoor oasis is a tropical paradise that mimics the look of a white sand beach without the actual sand. Daylight offers multiple pools and a plethora of chaises, cabanas, and daybeds where your group can relax and be pampered. It can be hard to find a suitable place for a bachelorette party. However, Daylight tops the list. If you’re hosting a bachelorette party at the height of summer, don’t hide out indoors. Instead, head to a Las Vegas pool party where you can lounge in the sun, drink ice-cold drinks, and splash around in the refreshing water. At Daylight, bachelorette parties can also enjoy a wide range of other amenities, including performances by musical talents and some of the world’s best DJs. The day club has six massive LED screens that enhance the experience as well as a massive stage where you can watch all the action. If you get hungry, Daylight also has an extensive food and drink menu, including some of their classic beverages like The Baja, The Clooney, and the Daylight White Sangria. 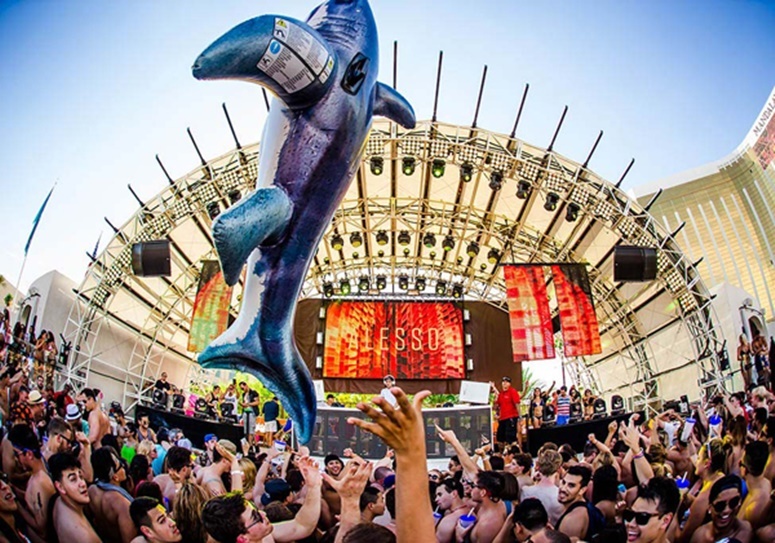 Las Vegas has no shortage of great pool party locations, from Wet Republic at the MGM Grand to Drai’s Beach Club at the Cromwell. Daylight is one of the best options in Las Vegas with the experience of five consecutive and successful years in business. 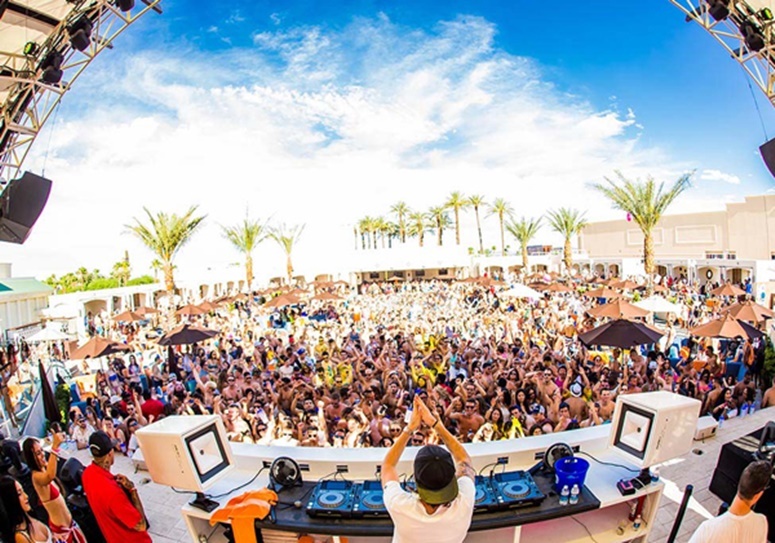 To keep things interesting, the club is frequently hosting some of today’s biggest stars such as Tyga, T-Pain, and dance music favorites like Morgan Page and Bassjackers. Your bachelorette party group will be blown away by the club’s lineup of big musical talents. While the club is relatively quiet at certain times of the day, when the crowds arrive it really heats up. Daylight has created a huge dance floor where fans can let loose and get up close and personal with some of their favorite EDM DJs. The pool area also has multiple bars where party goers can go for a refreshing drink. If you prefer to stay in one place, have the drinks come to you. 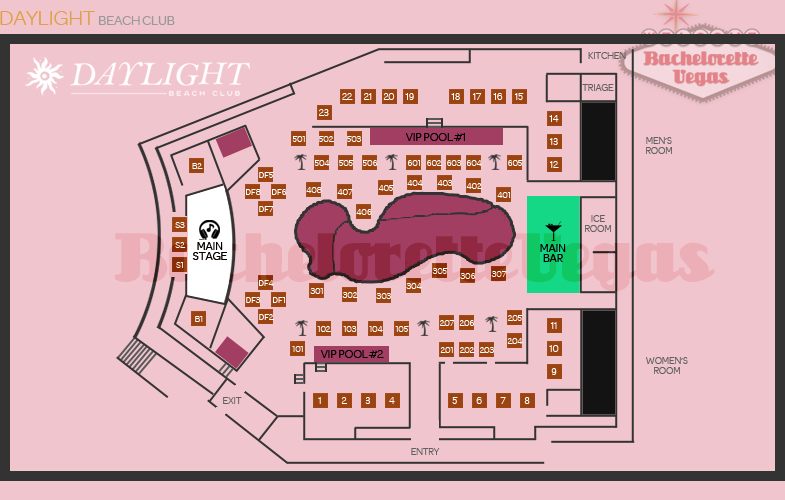 Daylight also offers VIP bottle service which comes with your own personal waitress and an extensive menu of alcohol options. If you’re interested in hosting your upcoming bachelorette party at Daylight, you’ll want to know where to go and what to wear. Daylight is located near the south end of the Mandalay Bay Hotel. If you plan on driving yourself, know that the hotel offers valet and self-parking options. If you plan on getting a taxi or a personal driver, have them drop your group off at the entrance to Daylight to reduce your walking distance. Be sure to wear only pool attire, including swimsuits, sandals, and hats if desired. Most pool parties in Vegas do not allow athletic shorts, jeans, jerseys, or cargo shorts. Daylight in Las Vegas offers a 4,400 square foot main pool, 70 daybeds, 25 bungalows and cabanas, and a 1,500 square foot stage. The venue itself can host more than 5,000 guests. In addition to daytime pool parties that typically occur on the weekends, the club also hosts nighttime pool parties on Wednesday nights known as “Eclipse”. These late night swims occur nearly every week throughout the season. 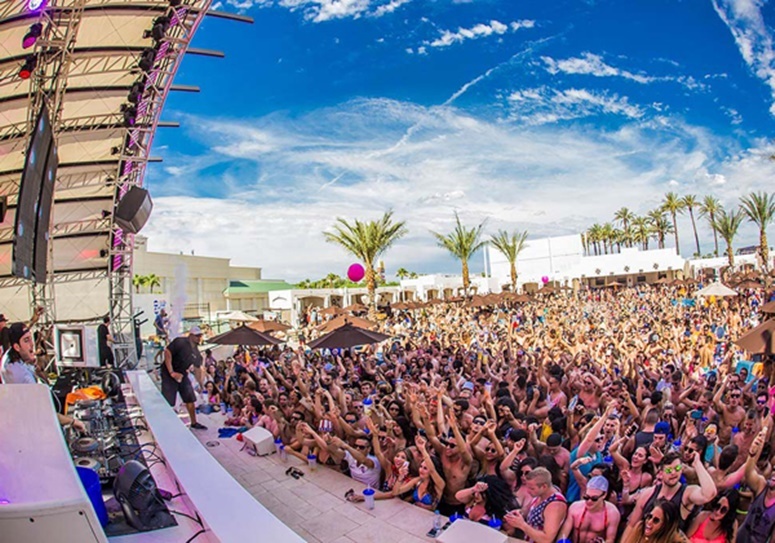 Since debuting in summer of 2013, Daylight Beach Club has become one of Vegas’ top pool party destinations. If you’re looking to host a memorable bachelorette party, make your way to Daylight.